Scholars of the Encyclopedia and its Preliminary Discourses. It’s no secret that quarter system schools are quite fast-paced. At times it can feel like there just aren’t enough hours in the week to do enough work to prepare for the next week of classes. More time is something that money just can’t buy, and most students already have full schedules with 3 classes. Students with 4 classes are overachievers, and students with 5 classes are few and far between. This was the first quarter I’ve had without class on Fridays, and that by itself was fantastic. However, what I want to highlight is how amazing it was to audit a class. At the beginning of the quarter, I had the problem of figuring out how to fit five classes I really wanted to take in only four slots. I was able to solve this by taking a class solely for fun the first time (of course I take every class for fun). ⅘ of these classes count for either core or my major/minors, and since Political Writings and the Encyclopedia of Diderot was something that I was interested in solely for fun, I thought it would be fun to try it out. I was first interested in taking Political Writings and the Encyclopedia because of a book I was reading called A Wicked Company that chronicles the fascinating cast of characters behind the Encyclopedia. I figured that it would be interesting to delve deeper into a subject this interesting from a more analytical lens. I am far from a morning person, but I made it to the first class of Political Writings and the Encyclopedia of Diderot, and knew that I would want to make it to all of the classes down the road. 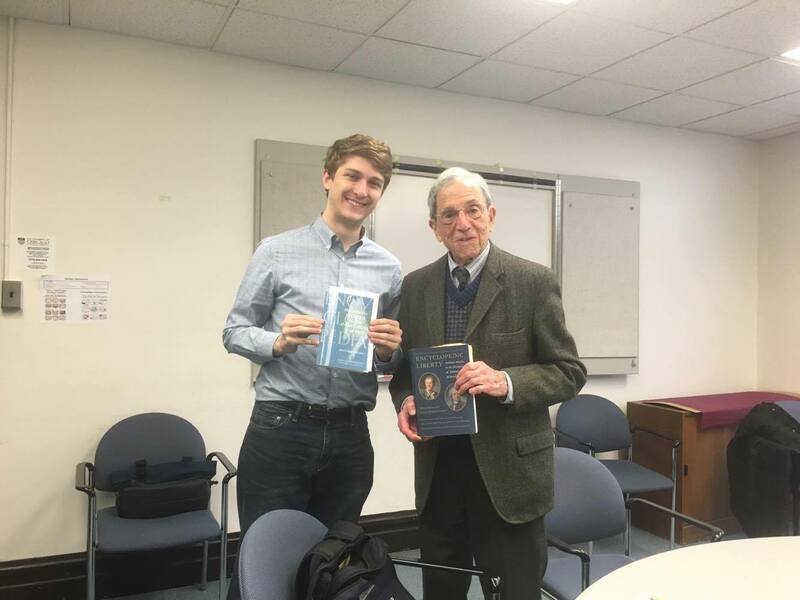 I asked the professor, Ralph Lerner, if I could audit the class. He told me that as long as I did the readings and came to class I would be good to go. The class was offered to both undergrads and students in UChicago’s Committee on Social Thought, so I was already slightly intimidated on the first day, since our Committee on Social Thought has produced some of the world’s most brilliant minds over the years, and some of the smartest people I know on campus are currently studying there. By the time the quarter ended, I even went to a bonus class that we had during reading period despite the fact that I was incredibly sick and had only slept for a few hours the night before. All of this is to say that when there is a class worth taking, you have to take it. 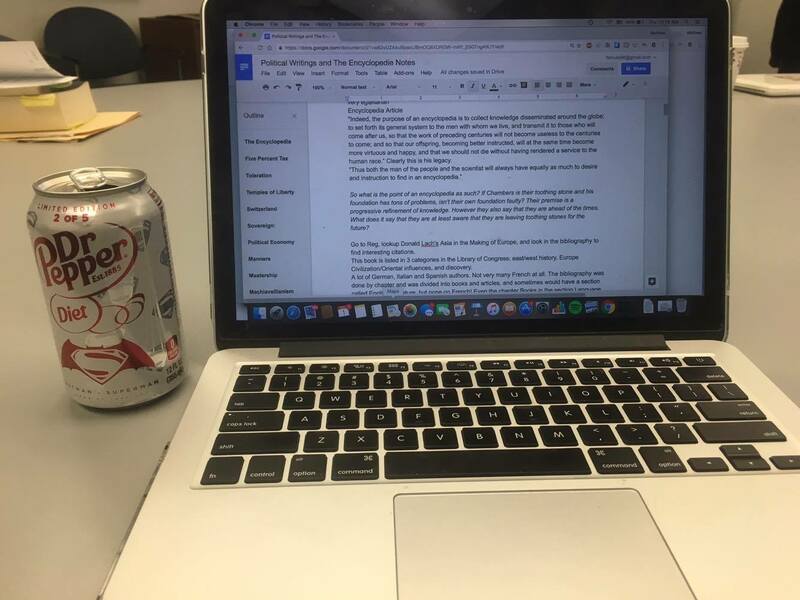 The way I knew Political Writings and the Encyclopedia of Diderot was worth auditing was that I would leave it more energized than when I arrived, day in and day out (and that wasn’t just because of the caffeine I had every day). The class was capped at 12 people, and those in it clearly wanted to be there. What helped make it further unique was the Encyclopedia itself. This was one of the masterpieces of the Enlightenment era, and its contributors wrote everything under heavy censorship, so almost every article in it had countless meanings. This meant that articles on seemingly innocuous topics such as “Mastership” having far more to them than meets the eye at first, and that made for some fascinating discussions. It was by far one of the most “UChicago” experiences I have had at UChicago. My view most Tuesday and Thursday mornings for the past 10 weeks. Since the Encyclopedia drew on a wide variety of topics, it was only fitting that everyone in the class brought with them expertise on everything from Machiavelli to theology. The fact that we were able to learn about everything from Francis Bacon to Montesquieu to toothing stones (one of my favorite themes) was a great way to keep everyone on their toes. So, what should be made of all of this? It’s all too rare to have time to add on an extra class in college, let alone one that doesn’t count for credit. However, when it’s the right one, it would almost be a mistake not to take it. Even if it means waking up earlier than you’d want to.